Making a Permanent Change of Station move during the "off season" may be new to you, since moving during the typical PCS season of the summer months is far more common. The idea might even seem uncomfortable to you since you may be one of just a couple families moving from your close-knit community. Receiving orders during PCS season is accompanied with a level of comfort. Even though you're preparing to uproot your family once more, chances are there are a number or families preparing to, as well! When you're just one of many families preparing to PCS, it's hard to forget that you are not alone. You and your children are not the only ones saying their goodbyes; your friends are, too. You may even find it easier to say your goodbyes when you don't feel like you are leaving people behind. Aside from the emotions of relocating, moving during PCS season often means there is time for a summer road trip. There's a natural element and level of excitement associated with moving this time of the year, as your kids are out of school for the summer. Your children will be able to start the next school year the same time as local kids, meaning they won't have to adjust to their new school in the middle of the year. Additionally, you won't be left looking for a new job in the dead of winter. Summertime serves as a natural break in the year. It's a good time to make changes, which is why it's understandable that moving during the winter may at first be feel uncomfortable! 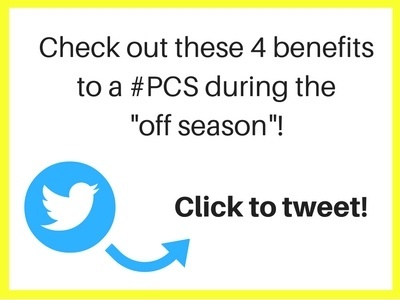 When you receive orders to move outside of PCS season, it means that you're scheduled for a fall or winter PCS. We often associate this time as the ‘settling in' months. Think about it. We're already nearing November, and you are spending your energy doing what? Getting ready to decorate for Thanksgiving? Buying Christmas decorations and presents? I am! We're certainly not spring cleaning and purging things around the house. Traditionally, we spend this time settling into our homes, spending more time inside, decorating for the holidays, and taking part in our annual family traditions. Moving during this time of year interrupts our traditions and may even result in spending the holidays away from home. Having said that, as we don't have a great deal of control over when we move, it's important that we learn to embrace our opportunities no matter the circumstances. There are a few things you'll learn to appreciate if you're making your first off-season move this winter. Getting orders around Thanksgiving or Christmas is a great opportunity for your spouse to take leave and schedule some time to be home for the holidays. The military lifestyle can make it difficult to visit family for the holidays on an ordinary year, so take advantage of this opportunity and make time for your loved ones. I have friends getting ready to move this winter. Instead of scheduling movers to pack up and deliver their household goods quickly, they're delaying the delivery day in order to spend a couple weeks at home with their family. Yes, this will mean that they have some work to do when they finally reach their new duty-station but in a rare case such as this, the opportunity to be home for the holidays is far more important. If you're moving between the holidays or after the New Year, you'll be one of few on the road. Since most families plan their vacations during the spring and summer months, hotel rates and air fares will likely be less. Not only is this good news for your budget, but it also means that your per diem will get you further and you may even have the opportunity to pocket a portion of it! Since there'll be fewer other families moving to your next duty station at the same time as you, you'll likely feel less competition when house hunting. However, since fewer families are also leaving during this time of the year, your selection may be slim to begin with. Start by looking on MilitaryByOwner Advertising, get in contact with groups and families already located in the area, and begin the househunting process immediately. Because there's less real estate activity, you may find that the owner, property manager, or real estate agent is even more willing to work with you on your timeline and budget. You may be able to find your next home easier than expected! You'll find that your movers are easier to schedule around your most convenient time. You may be able to set your packing and moving days with ease. The same goes for securing a moving truck. If you choose to a Do It Yourself, or Personally Procured Move, you may find that securing your rental truck is far easier during the winter than the summer. 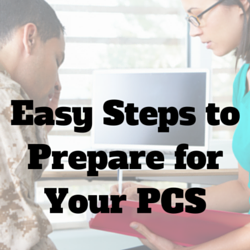 If you're preparing to make your first off-season PCS move this year, don't be intimidated! Learn to embrace what a winter move can offer you. Keep in mind these four things other military families have come to love about moving off-season, and make new memories!